It’s just another day for the CHARMED sisters, as a a Changeling Demon endangers one of the young women. 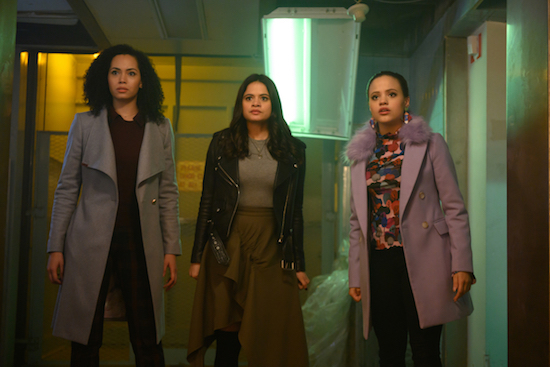 Charmed -- "Bug A Boo" -- Image Number: CMD108c_0178.jpg -- Pictured (L-R): Madeleine Mantock as Macy, Melonie Diaz as Mel and Sarah Jeffery as Maggie -- Photo: Diyah Pera/The CW -- ÃÂ© 2018 The CW Network, LLC. All Rights Reserved.